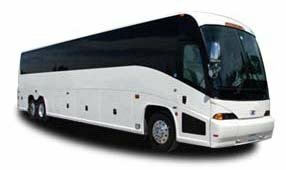 Chicago Charter Bus Company provides reliable group transportation in Chicago and throughout its surrounding neighborhoods. Whether you’re looking for a shuttle service at your wedding or corporate event, planning a field trip for your students, attending a sporting event, or putting together a family reunion, we’ve got the perfect charter bus for you. Call our 24-hour reservation specialists today at 312-667-0906 to receive a free quote on the best bus for your group!